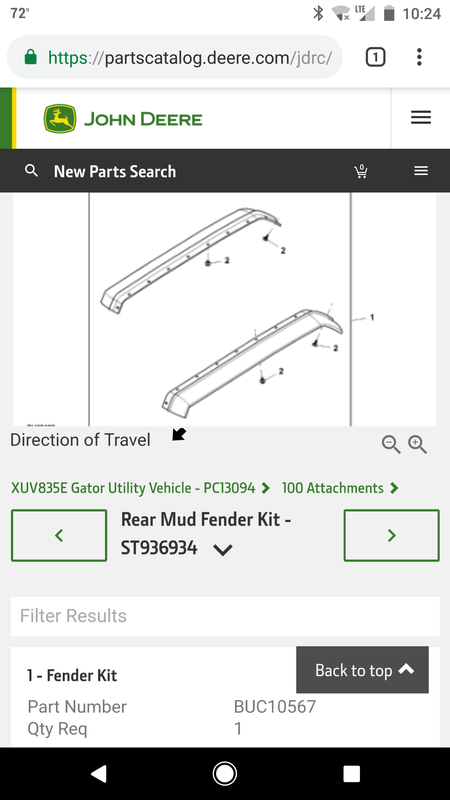 Bumpers, Skid Plates and Gator Protection For discussions on how to protect your John Deere Gator. Has anybody seen for sale or home made rear fender flares for 2018 XUV 835? Love the gator but it sure makes a mess. They will probably widen the dump next year to take care of the problem. A brief google search “ utv fender flares” yielded this product. Perhaps these flares might be worth looking in to? Thanks but I can't seem to find them, on John Deere or other wise. I will be in town next week and will stop in to the dealer.